Happy Saturday! I hope you all had the BEST Fourth of July—if you’re doing it right, you’re still celebrating this weekend. It’s so nice having this little vacation week to look forward to in the middle of summer, especially when everyone else is off, too! But it can also be hard to snap back to “real life” when this week is over…a few too many late nights, one extra hamburger (just me?) and a neglected email inbox can make for a very stressful first-Monday-after-the-Fourth. I wanted to share a few simple ways to hit the reset button, especially perfect for when you’re feeling those post-vacation blues. *This is actually something I’m trying to do, anyway. I often find that whenever I’m feeling bored or stuck on whatever I’m working on, I reach for my phone, and before I know it I’m mindlessly scrolling and completely distracted from what I was doing prior to picking up my phone. I read somewhere that whenever you get the urge to check your phone or social media, try taking a sip of water, instead—I thought that was a great tip! Make a few “detox” meals. I always crave a big, fresh and flavorful salad after a week of overindulging, like this Thai Crunch Salad or this Mean Green Kale Salad. I always feel like I need to drink extra water after these kinds of weeks, too, so I’ll make a batch of Spa Water (love the idea of these infused ice cubes, too!). Clear your kitchen and bathroom counters. Why do these spaces always get the messiest during a busy week? It only takes five minutes, but I feel so much better after sorting through all the piles and giving my kitchen and bathroom counters a good wipe down. Make a written to-do list. I don’t know about you, but my day feels so much more manageable if I have a plan (if I’m feeling really overwhelmed, I’ll even break the day down by the half-hour). 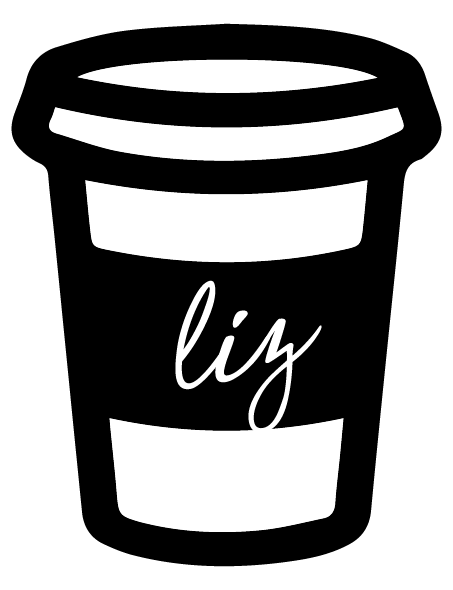 Liz recently linked to some of her favorite planners in a Coffee with Liz post, including the Simplified Planner by Emily Ley—I love this planner because it has both daily pages and monthly pages, letting you gameplan for goals both big and small. Seek out acts of kindness. This one’s a bit altruistic, but helping others always makes you feel better yourself. Set aside a bag of clothes or toys to donate, buy a cup of coffee for someone on the street who looks like they need help or a frazzled mom in line behind you, call a family member, send a handwritten letter. Even little acts like these can put life into perspective and keep you focusing on the important stuff. What are your favorite ways to reset after a busy week? I’d love to hear them! Image via Wit & Delight. Your suggestions make totally sense! I’m with you — just getting stuff reined back in. Pick up the 10,000 toys and swimsuits and get a list going to get back at it! The mid-week holiday was good — two weekends to celebrate, but also weird because I was still at work. Thanks for the tips! Lists are also a great way for me to get organized and not feel overwhelmed by the week ahead. Eating clean is another biggie! Love the idea of taking a si of water instead of checking social media.